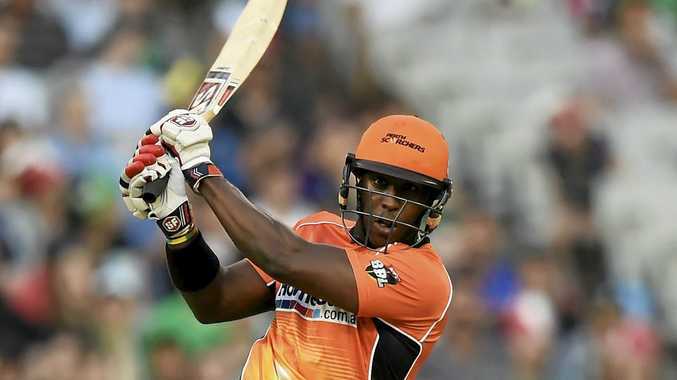 CRICKET: Ex-England and Perth Scorchers batsman Michael Carberry has returned to cricket with a bang - scoring a hundred in his first game since being diagnosed with cancer last year. Carberry, 36, was told he had a cancerous tumour in 2016 and immediately started treatment, with his last first-class appearance coming on July 8. The left-hander, who made six Test appearances for England and was part of the team which lost the Ashes 5-0 in 2013-14, returned to training with Hampshire during the off-season, having undergone a successful operation. He marked his return to the middle in some style, scoring exactly 100 from 121 balls as Hampshire faced Cardiff MCCU at the Rose Bowl. Carberry received a standing ovation as he left the field, his knock ending when he was caught by Matthew Norris off the bowling of David O'Sullivan.